As we exit the Challenger, to our right we find the Arrow Dining Room. The Arrow is designed to look like a railroad dining car. The Arrow was once the “milk train” which meant that it stopped at every other station, too. The color paintings in the Arrow dining room represent windows, as if the viewer were a train passenger looking out across the Des Moines River Valley. 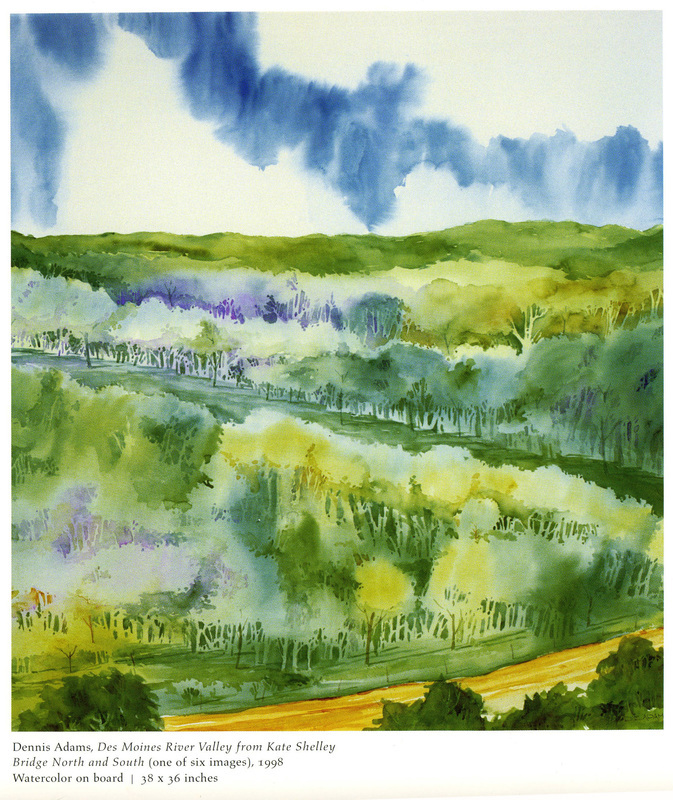 The paintings are impressionistic, watercolors, by Woodward, Iowa artist Dennis Adams. We’ll exit David’s Milwaukee Diner and take the door to our immediate left, which will take us to the lower level of the Hotel Pattee.